We are grateful for what has been entrusted to our care and it shows in our stewardship of the resources needed to carry out our service in the community. We make it a priority to reduce waste, reuse whenever possible, and recycle what cannot be reused. These practices not only promote a sustainable environment, but though revenue generation and cost savings, they also promote fiscal sustainability for BCS. In FY 2016 BCS rescued 9,423,424 lbs of food, clothing, and small household items out of the landfill and placed it into the hands of people in need. BCS generated over $60,000 in recycling revenue in FY 2017. We recycle cardboard, plastic, paper, shrink wrap, clothing, wood pallets, cell phones, ink and toner cartridges, bottles, aluminum cans, and metals. We shared 3,392,432 lbs of food with 65 other local agencies in FY 2017 who serve the poor out of the unique expression of their own mission. The vast majority of food that we are unable to redistribute due to poor quality is shared with 15 local animal farmers or is composted. 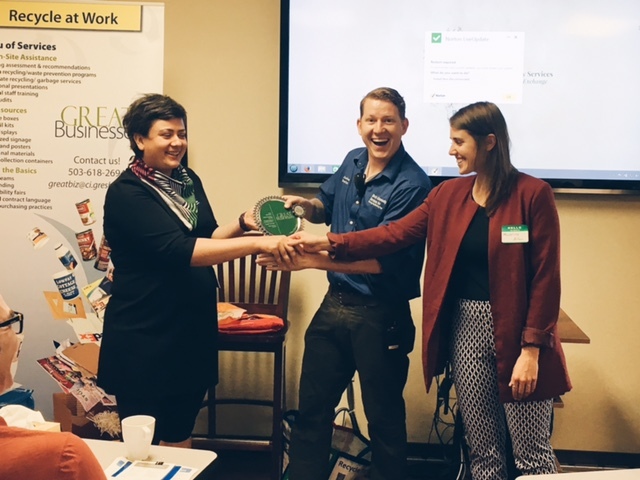 Birch Community Services was recognized by the city of Gresham as a leader in recycling, food redistribution, energy efficiency, and water conservation. Birch Community Services was recognized by the state of Oregon as a leader in recycling, food redistribution, energy efficiency, and water conservation. Birch Community Services was recognized by Rotary International as a leader in integrity, ethics and business. There is a wonderful cycle that occurs within the BCS model. It begins with the generosity of local businesses who share their surplus food, clothing, and household items. This donated product comes to the BCS warehouse and is redistributed to families in need. These families are strengthened by the help, and become active and productive members of the community who in turn strengthen local business. The cycle continues through to the families who experience the “…dignity of the exchange” by donating a couple hours of their time per month. It is the investment they gladly make. Participating volunteers make up for 90% of the work that would have otherwise been hired out. Without participants, BCS’s overhead would be prohibitive. There is a sense of joy among participants that not only can they give back, but they directly contribute to the continued services for all the other families on the program. And the cycle doesn’t stop with the hundreds of families BCS serves. Over 65 local agencies also have access to the food donated to BCS each week and in turn help to serve another 10,000 to 15,000 people struggling with hunger, homelessness, domestic violence, and/or chemical dependency issues. BCS is addressing the roots of hunger and poverty in the Northwest and is sharing the model with others across the country who are interested in replicating the program in their own community. 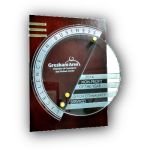 The Gresham Rotary awarded Birch Community Services with the Ethics in Business award for 2017. 68% of the money BCS needs to operate in the year comes from our fee for service and our recycling revenue. That means we can be a stable nonprofit even when the economy is not so stable. The Natural Resources Defense Council says that 40 percent of all food that’s produced in the United States goes uneaten. That’s more than 20 pounds of food per person every month. The cash value of all that wasted food: $165 billion each year. 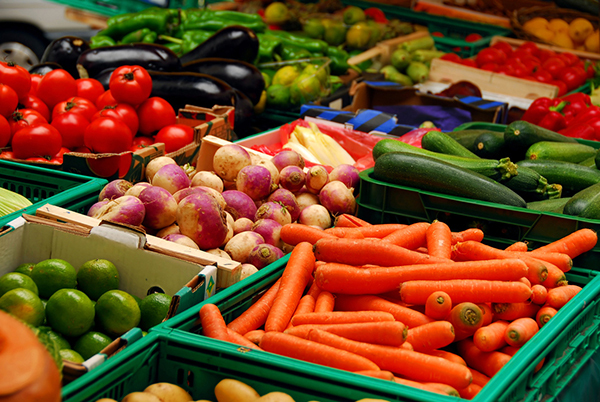 That’s a significant impact to the bottom line of food producers, distributors, and retailers. BCS picks up excess and near-date food that would otherwise be trucked to a landfill. By clearing out product in a timely manner, businesses can restock with product that will sell better and employee morale increases when employees see food that used to be wasted going to help feed hungry people. We encourage and train our participants to pay down personal debt and increase their emergency savings. At BCS, participants are moving out of poverty with a real sense of hope and anticipation, and as they are once again able to support their local economy, economic stability is strengthened – one family at a time. 15% of Americans were on SNAP (Food stamps) in 2013 at a cost of $82 Billion.